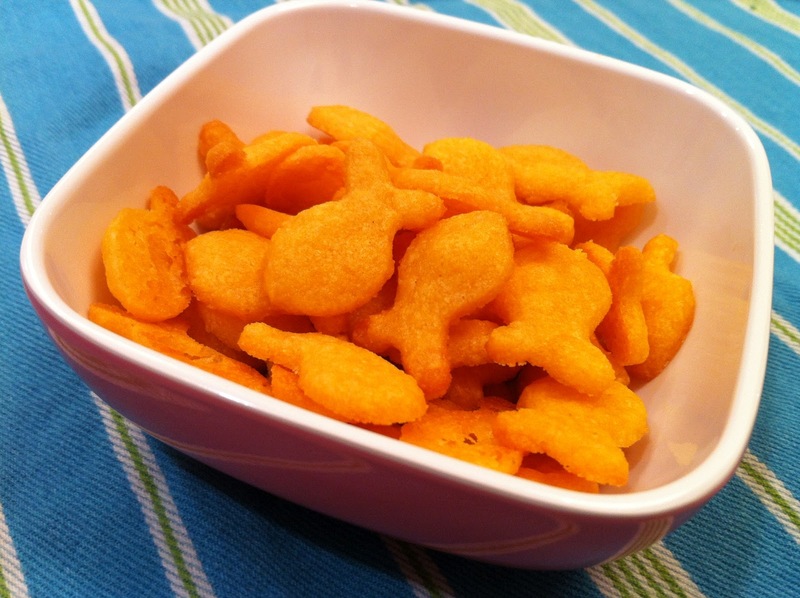 goldfish crackers | what is clara eating today? In a food processor, pulse all the ingredients until a dough forms. Wrap the dough in a plastic wrap and chill for 30 minutes. Place the dough in-between parchment paper and roll to about 1/8in thickness. Cut out the shapes and transfer them to a parchment paper lined cookie sheet. Bake at 325 for 4-5 minutes, until the edges just start to brown. turn off the heat and let it sit in the oven for a few minutes for the crackers to crisp. Posted in for school, nut-free, snacks, something fun! I just found your site and love it! I see this recipe is 2.4 carbs, but for how many fish? Thanks so much! P.s. We made the cinnamon bun muffins yesterday and my son loved them! Hello! Can we use all purpose flour? Or any other flour? Thank you. yes you can. you might need to adjust the portion depending on the type of flour you use. How much all purpose flour do you think we should use? More than 1 T or less? I would think more since coconut flour soaks up a lot of moisture. Maybe start with 2T and see how it looks? Pingback: easter treat bag | what is clara eating today? I do not happen to have any cheddar on hand. Would mozzarella work? I know the ratios are different in mozzarella cheese and I can accommodate those changes. Going to try making these for my son but the store I shop at has been out of coconut flour the last two times we have went. We have almond flour on hand at home. Would that be okay to substitute? I haven’t tried almond flour, but I don’t think it’ll give the same texture as real goldfish crackers.